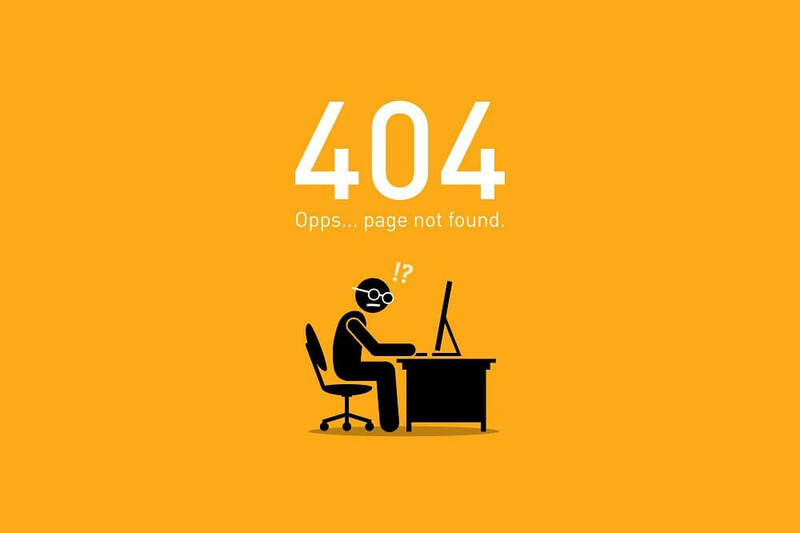 If you own a business that relies on people physically coming in(store, restaurant, auto-shop), it can be tempting to neglect your online appearance. Why focus on online traffic when real traffic is what brings in money? 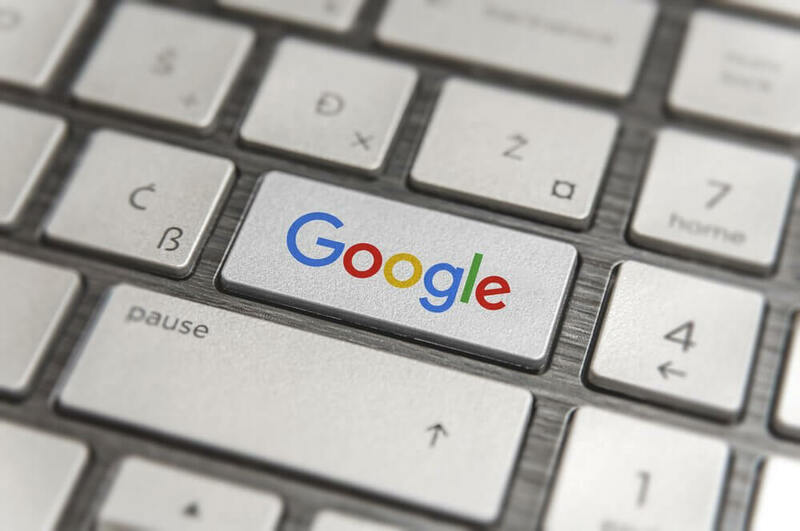 However, the reality is that many consumers often use Google to find places of interest that are close to them, as opposed to walking around and browsing for what’s eye-catching. 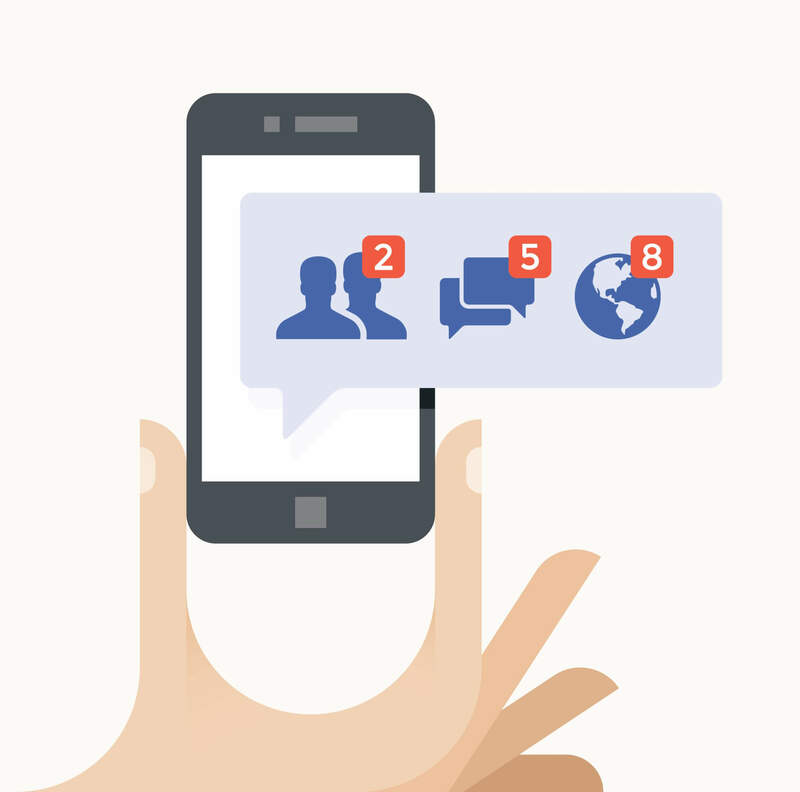 In an age where information on anything is so easily accessible, potential customers tend to go online for indications that establishments like yours are worth their time. Therefore, it’s important to maximize the exposure you have, and make sure that your online appearance is primed to draw people in. And while SEO is vital in ensuring you get found, there is more you can do to get people interested in what you have to offer. Here are 4 tips to use your Google MyBusiness page to increase foot traffic. This is a question that is likely asked by a prospective customer who is interested in coming in sometime soon, and would like to know if he needs to prepare in advance. In such a case, it is obviously better practice to answer his question as not getting an answer will likely deter him from coming, at the risk of having to wait at the door or being refused. Furthermore, being engaging and responsive to the needs of potential customers makes a good impression on them, and will entice them with the promise of friendly and attentive service at your establishment. This is a practice that should be emulated with any other social media platforms you are on as well. Location is everything, even in the age of the internet, so make sure people know it! 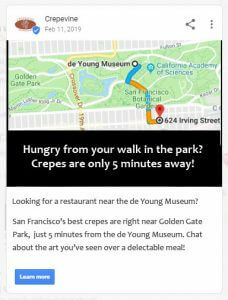 Make posts that tie your business to be in close proximity to other popular attractions in the area. For example, if you are located near the beach or a popular shopping center, mention that you are nearby, encouraging people to stop by your establishment while they are there. If you have other social media channels, don’t forget that this is something you can use elsewhere as well! If you own a store that sells products, chances are you put some of your best-sellers on display to entice people to come in. Simply replicate that strategy with your Google MyBusiness page. 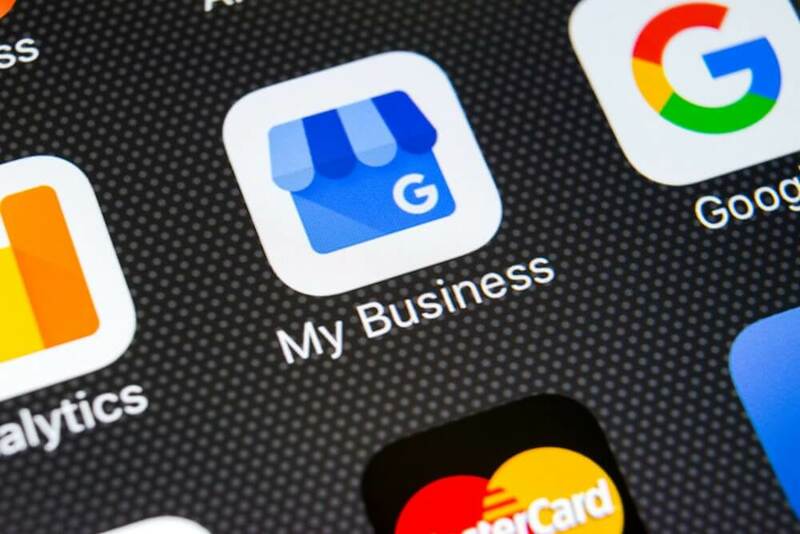 This can be used through the use of a simple online tool called Pointy, which can be attached to the Google MyBusiness page that appears online. 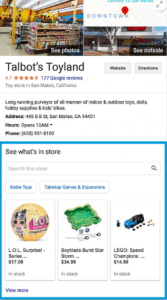 This extension allows you to list your entire store’s inventory online, and get a quick look of what you have to offer right on your Google MyBusiness page. As mentioned before, people go online to see in advance what you have to offer, and showing your wares outright is a great way to entice them to come down to see for yourself. If you are a restaurant, make sure your menu is available to view. If you are a service, list the services you offer clearly and directly. This is something that every store should have on their Google MyBusiness page! As you can see, there are lots of things on Google MyBusiness that can be used to increase foot traffic. As people’s behaviors between what they do online and the real world becomes increasingly more interconnected, it’s important to pay attention to how you are found and appear on both. This is why Boston Web Marketing focuses on optimizing your business’s online presence to maximize traffic. Through managing your website, social media, online advertising and Google My Business, we aim to ensure that you get found by anyone who is looking for your service. If you want to ensure that you are not missing out on this source of business, contact us at 857-526-0096, or fill out an online inquiry form. We’d love to work with you!